Enter your e-mail address below, and receive our great monthly news letter. The UK's newest angling and only specialist web-site dedicated to guided fishing throughout the 4 corners of the universe. Our aim is to give you the angler total access to a multitude of suitable fishing contacts throughout the angling world. Within these pages you will find many well researched and reputable contacts who specialise in freshwater, saltwater and game fishing packages. From Pike fishing on the UK's Norfolk Broads and in Cumbria's magnificent Lake District to fishing for 5 types of Pacific Salmon and gigantic freshwater Sturgeon in Canada's beautiful British Columbia. 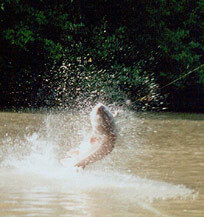 Big game fishing for Marlin and Sailfish in East Africa and even Mackerel fishing along the North Wales coast. 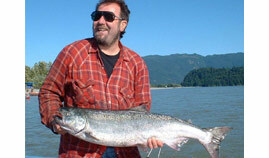 These pages will be monitored daily and updated weekly as more Fishing-Guides link to the site. Then as the site grows over the forthcoming months, we shall includes sections on the following Where to Fish, Tackle on Test, Fish of the Month, Accommodation, Holiday Packages. If you are a would be advertiser and would like inclusion in any of the pages shown then please contact us for further details. If you know of a reputable guided fishing operation who you think worthy of inclusion in the site - just e-mail us their details and we'll do the rest. Fishing-Guides.co.uk (limited), Snape Gate Fox's Bank Lane Merseyside L35 3SS England.